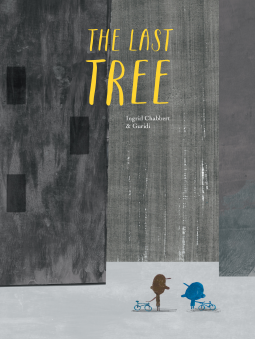 The Last Tree is an interesting book. While its blurb seems to indicate it being a hopeful tale, I found it rather melancholy. Though its message of the importance of nature and our impact on the environment is one I find especially important I'm not sure this is the book I would share with my children or students to do so. Something about it felt like it would upset my sensitive daughter and not in a good way. My reservations about sharing this with sensitive children aside, it is beautifully illustrated and gives a very strong contrast of city and nature. A small boy lived in a city with no grass or trees. “Instead,” he says, “we had roads, walls and lots of other ugly things.” One day, the boy and his friend were amazed to discover a tiny sapling growing behind a low wall. They had never seen a tree and they imagined how majestic it would be someday. When they found out a condominium was to be built where their tree lived, the boys knew they had to dig it up and replant it. They had to save the last tree.